National Harbor, Maryland is a planned urban community in the Washington DC Metro area just across the Woodrow Wilson Bridge from Alexandria, VA. This 300-acre multi-use waterfront community is located on the Potomac River in Prince George's County. Within the neighborhood, there is a mix of shopping, dining, nightlife, condos, hotels, marina, and more. National Harbor will also be the site of the new National Childrens Museum. 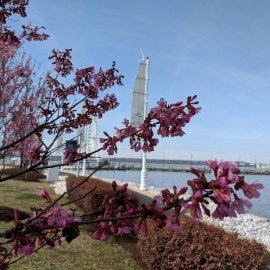 If you are in the Metro DC area, consider visiting National Harbor for the day or stay for the weekend. The Premium Experience that fuses SOCA with ALL 5 Senses... Welcome to La Vida Soca's Springtime fiesta...C1NCO !